After his release from prison, James was ordered to cease printing the Courant, and publication of the newspaper was turned over to James’ apprentice and younger brother, Benjamin Franklin. James and Ann, at the invitation of his brother John, a tallow chandler, moved to Newport, Rhode Island, where they established the colony’s first printing press. With Ann as his assistant, James launched the Rhode Island Gazette, the colony’s first newspaper, on September 27, 1732, but the weekly newspaper was published for less than a year. During this time, Ann gave birth to five children, three of whom survived into adulthood. 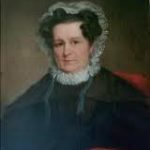 In addition to fulfilling the common domestic duties of raising and educating children, preparing meals, and housekeeping, Ann was an active participant in the print shop. She learned to set type and operate the press, and also worked in their small shop, which sold papers, books, and fabrics on which they printed images. After a long illness, James died in 1735, leaving Ann with the responsibility of supporting four young children on her own. Concerned that she didn’t have enough business to support her family, Ann appealed to the General Assembly of Rhode Island, hoping to obtain a contract to print their official publications. She won the contract, and became the official printer of the General Assembly – printing law books, election ballots, legal forms, and the colony’s currency. She also supplemented her income with a variety of printing jobs. Ministers hired her to print sermons, merchants to produce advertisements, and on her own printed a number of popular books – mostly British novels that were expensive to produce, but always sold well. She printed broadsides, in which townspeople aired their grievances of both a personal and business nature. She revived the profitable Rhode Island Almanac, which James had begun in 1727 under the pseudonym Poor Robin. From 1739 to 1741, Ann edited and printed this second series, thereby becoming the first woman in America to write an almanac. Almanacs were popular in colonial America, containing a calendar, astronomical happenings, weather predictions, short verses, and quotations. In 1741, Ann ceased publication of the Rhode Island Almanac, and began selling her brother-in-law’s more successful, Poor Richard’s Almanac. 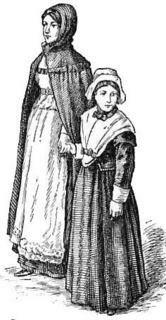 Ann’s children helped her considerably in the print shop. 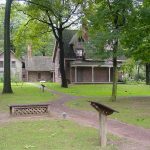 Her daughters, Mary and Elizabeth, were efficient in setting type, and her son James went to Philadelphia to apprentice with his Uncle Benjamin Franklin. In 1748, James returned to Newport and went into business with his mother under the name, “Ann and James Franklin.” In 1758, the pair produced the Newport Mercury, the first newspaper in Rhode Island – which is still being published today. As Ann grew older, she began easing herself out of the printing business, assigning more and more responsibility to her son. Tragically, both of Ann’s daughters had died, and her son James died in April, 1762. At age sixty-five, Ann returned full-time to her printing press. Despite failing health, she did not miss a single issue of the Newport Mercury. Later that year, Ann took Samuel Hall as a business partner, and the pair continued to operate the press until her death. 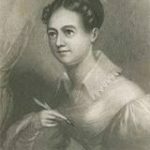 More than 200 years after her death, Ann Smith Franklin became the first woman inducted into the Journalism Hall of Fame at the University of Rhode Island. 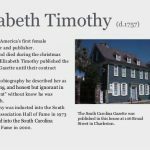 She is also remembered as the owner of the press on which Benjamin Franklin learned to set type.